Your body breaks down food into a sugar called glucose. Your body’s cells get energy from glucose, but they need the hormone insulin to carry that glucose from your blood into the cell. Diabetes is a condition where the body either doesn’t make enough insulin, or the cells ignore insulin. Both cases make it hard for glucose to get into your body’s cells. Instead, it stays in the blood at high levels, and can lead to health problems. Type 2 Diabetes is the most common form among Americans. Many live long and healthy lives despite having this serious lifelong condition. Still, it’s normal to feel scared or overwhelmed if you hear you have diabetes. Talk with a doctor, counselor, family member, or friend if you are feeling down. You can even join a community support group. There is no cure, but luckily, there are steps you can take to protect your health. Eating well, exercising, and taking medicine as your doctor directs, can help you stay in charge of diabetes! Fill half your plate with non-starchy vegetables like carrots, salad, broccoli, cauliflower, cabbage, green beans, and tomatoes. You can still eat starchy foods, like rice, potatoes, noodles, and corn. Just in smaller amounts. Have them fill one fourth of your plate. 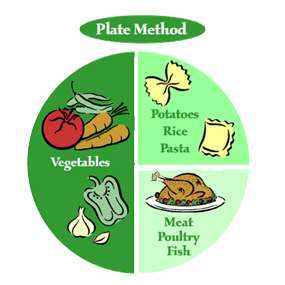 Fill the rest of your plate with meat or meat substitute like fish, chicken, eggs, or tofu. Add 8 oz of milk. Top it off with a piece of fruit for dessert. 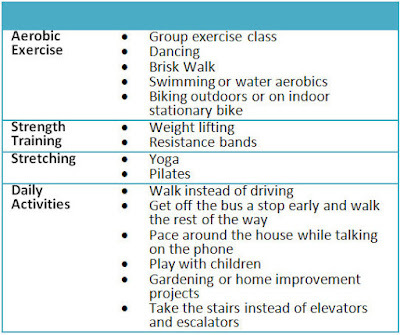 Exercise is a great way to lower your blood glucose. What’s more, you’ll also relieve stress, lower your risk of stroke, have more energy, and feel great. 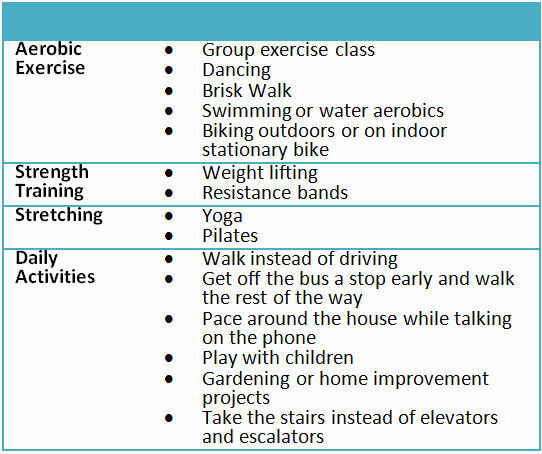 Talk with your doctor about which activities are right for you. Check out diabetes.org/redrider and diabetes.org/redstrider to find exercise buddies. Remember! Set small goals. It’s ok to start with 5 or 10 minutes of activity a day and work your way up. You can also split your workouts. Take a 10 minute walk before each meal to get 30 minutes of activity a day. Your end goal is to exercise at least 30 minutes a day, five times a week. Hop to it! Sometimes doctors will prescribe medicine to help your blood glucose reach the target range. Speak with your doctor about whether pills, insulin injections or pumps, or a combination is right for you. 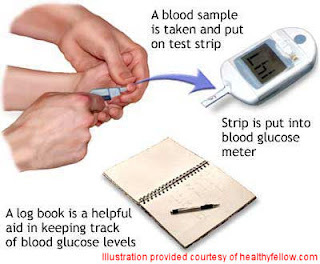 If you want to know how food, exercise, and medicine affect your blood glucose levels, you can buy a little machine at the drugstore called a blood glucose meter. Talk to your doctor about which one is best for you and covered by your insurance. You can write the date, time, and the blood glucose number in a logbook. Share the results with your doctor and tweak your eating and exercise habits as needed. Meters test a small drop of your blood for glucose. The Target Blood Glucose Levels for People with Diabetes is 70 - 130 before meals and less than 180 one to two hours after the start of a meal. Ask your doctor for an A1C test. This measures average levels of blood sugar over two to three months. The general goal is to keep this number below 7%. Every checkup, your doctor should look at your blood glucose levels, weight, blood pressure, medicines, feet, and diet and physical activity plan. Once or twice a year, you should have a dilated eye exam, dental exam, foot exam, flu shot, and pneumonia vaccine. You should schedule tests for A1C, blood lipids (fats), kidney function. To find a diabetes education program that’s been given the a-ok by the American Diabetes Association, visit www.diabeteseducator.org online and click on “Find a Diabetes Educator,” or call 1-800-DIABETES. To get even MoRe information about taking care of diabetes, contact any of these resources below! Christine Gary holds a Masters Degree in Nutrition Communication from the Tufts Friedman School of Nutrition Science and Policy. She is a Senior Account Executive at Powell Tate | Weber Shandwick where she drafts and executes communication campaigns for clients in the health and wellness space. She's also an international marathon runner devoted to raising funds for charity. Check out her website for more information. http://www.christinegary.com. Send your comments to Christine via the CCF Contact Form.